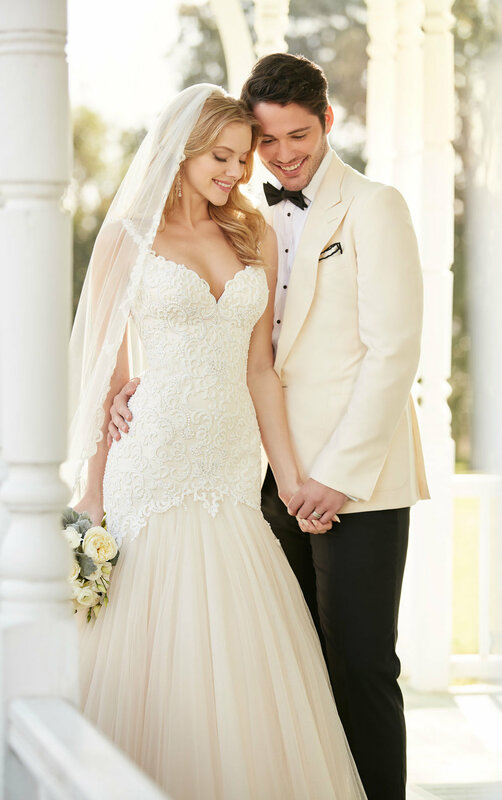 This fit and flare wedding gown from Martina Liana features a dramatic lace over Dolce satin bodice that is fitted through the upper thigh. The ethereal tulle skirt flows into a glamorous cathedral train. The back zips up under crystal buttons.